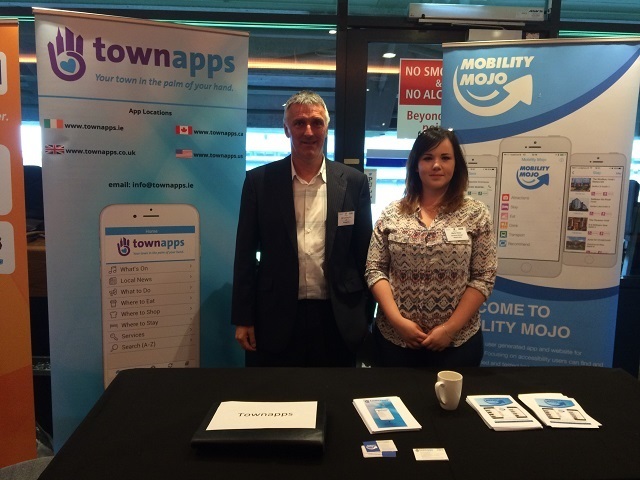 Townapps were at the Internet of Things Summit in Croke Park, Dublin 14 June 2016 ( http://www.iotsummit.ie ). Townapps along with our partner company Mobility Mojo had a stand highlighting the uses of an app within your town or area. This second annual summit will show delegates the potential of IoT, how it is impacting business models and the technology and security challenges to overcome. It will bring the key people in the ecosystem together to do business and learn from each other. Attendees will listen to and meet people who are doing things, not talking about things, in the Internet of Things. The global value of the IoT sector is predicted to exceed €34.2bn a year by 2020, with an expectation that 25bn devices will be connected by 2025. Townapps will be showing visitors to the stand how an app can increase footfall, increase business, highlight places of interest, show what’s on in your local area and this is all done from the palm of your hand.